802.11g is one of the standards used for high speed wireless networks, commonly known as Wifi. This standard was created by the IEEE (Institute of Electrical and Electronics Engineers) in June of 2003 and uses a 2.4 to 2.5 gigahertz radio frequency to send and receive data from one device to another. There are several standards that are in use today for wireless communication, others include 802.11a, 802.11b and 802.11n. The standard 802.11g is becoming quite popular during the last several years for its speed, quality of transmission and competitive price. More people than ever are building Wifi networks, either for their business, home use or for commercial enterprises such as to provide Internet access at a cafe. For many people, building a Wifi network usually involves the standard 802.11g. In order to set up a home or business Wifi network on the 802.11g standard, you will need an 802.11g wireless router and an 802.11g compatible Wifi card. 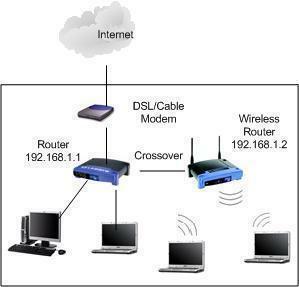 Usually a Wifi router is hooked up to either a broadband Internet connection or a computer server. In order for each part of the network to communicate with one another it is necessary that they all have a Wifi card able to send and receive 802.11g signals. The max speed of 802.11g is 54 megabits per second; however expect around 11 megabits per second in normal day to day use. 802.11g delivers a range of about 33 meters or about 100 feet. While this is less than its cousin 802.11b which delivers a range of about 150 feet, most people&apos;s networks are well within this range&apos;s limits. 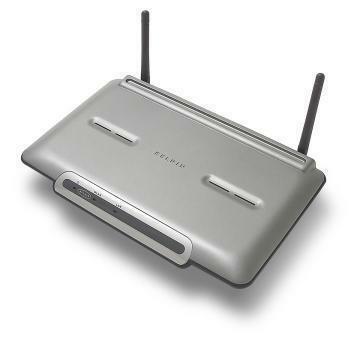 It is important to note that range can vary depending on many factors including whether a network is set up in an apartment, office environment, if a router is on another floor than computers tied into the network or if there is interference from signals operating close to 802.11g&apos;s.
802.11g operates on the frequency 2.4 -2.5 GHZ, for the most part, the clarity of the signal is generally clear and interference free. In addition, this frequency works well penetrating walls or other types of building obstructions due to the fact it operates at low frequencies. The Price for 802.11g is relatively affordable for both corporations, home based businesses and private home networks. Expect price points around the $100 mark for both the router and Wifi cards. A great reason to choose 802.11g is due to its downward compatibility with 802.11b. The "b" standard is widely used and "g" can work seamlessly with this standard. Besides 802.11g, you should be aware of other types of standards most notably 802.11b. 802.11b is another common standard similar to "g" except that its speed is much slower at about 11 megabits per second max. However, the range of the 802.11b is slightly more than the "g" standard. Where "g" has a range of about 33 meters (100 feet), "b" standard has a range of 50 meters (150 feet). Regarding price, "b" is a little less expensive. This is another standard actually created at the same time as 802.11b. It operates at a higher frequency and thus sometimes has less interference. It should be noted that 802.11a has a shorter range than "b". 802.11a is not as popular as "b" or "g". Possibly the reason why this standard did not catch is because this standard is much more expensive than its cousin 802.11b making it less attractive to businesses and individuals. 399 queries in 0.555 seconds.